Children are never too young to start enjoying books so what better way to start than with the basics. U is for Underwear is a fabulously fun introduction to the alphabet , all wrapped up in a robust board book filled with gorgeous screen-printed illustrations for young children to enjoy. 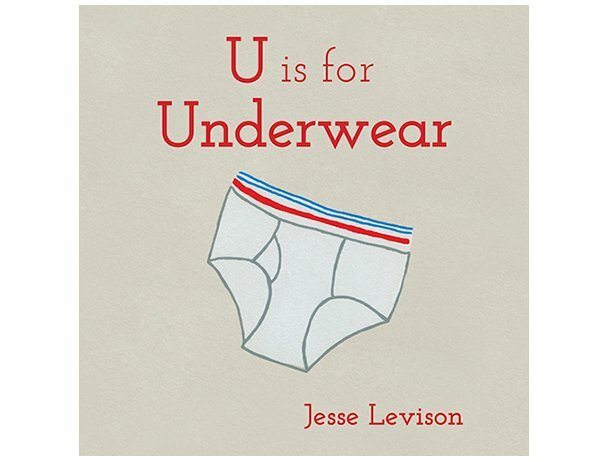 Talented artist and screen print maker extraordinaire, Jesse Levison has delivered a stylish alphabet for our youngest readers in U is for Underwear. There’s such delight in teaching a young child the alphabet and this book in all its beautiful retro and easy to recognise illustrated glory is a superb tool to instil letter recognition, word and letter association. Kids will soon be catching on to the letters and there’s bound to be giggles of joy when they beat you to saying what the letter or word reads on the page! U is for Underwear is priced $12.60 and available from Book Depository with free shipping worldwide.